Follicular unit extraction (FUE) is a great surgical option for patients who want to restore their hair with minimal discomfort and scarring. FUE is considered by many to be the most refined approach to hair transplantation, and Drs. Robert True and Robert Dorin have been at the forefront of perfecting the technique for years. To learn more about their expertise and the many advantages of FUE at our New York area location, please contact our office today to schedule an appointment. The FUE treatment procedure harvests individual follicular units, or groups of 1-4 hairs, directly from the scalp. In order to extract an optimal number of follicle units, the donor area is shaved. The patient then will have their predetermined number of follicle units excised with punch blades that are less than 1 mm in diameter. With this technique, individual hair grafts are precisely extracted from the outer most layer of skin. This procedure is minimally uncomfortable and patients can expect circular scars that are so small that they are virtually undetectable with short hair, or even a shaved head. In addition to being a relatively comfortable procedure with natural-looking results, postoperative outcomes for FUE patients are generally very good. Complications are very rare, and discomfort and signs of surgery usually dissipate within a week. For the majority of FUE patients, the minimized appearance of scarring is the most important advantage over other hair transplant procedures, including follicle unit transplant (FUT) treatments. With an FUT procedure, a portion of the scalp is excised, requiring stitches and some incision marks. Conversely, FUE treatments do not involve any stitches or incisions. FUE also typically has a shorter recovery time compared to FUT. In fact, most FUE patients are back to their normal activities the day following their procedure. Another great benefit of FUE is that the patient can wear their hair short or shaved without worrying about noticeable scarring. Some FUT patients even choose to have a FUE procedure to help conceal the linear scar from a previous FUT scalp incision. 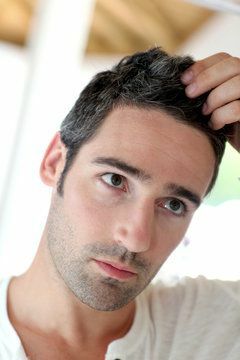 Former FUT patients may also opt for FUE if they have limited scalp elasticity following their FUT surgery. FUE is also a great option for patients who are not otherwise good candidates for FUT, whether because they have minimal hair at the donor site (typically the back of the head), or have a soft scalp. In such cases, FUE can be used to excise follicle units from other another area of the body. Hair transplants from the arms, legs, chest, and back are sometimes the best and only option for certain patients, allowing more people to enjoy a denser head of hair. Achieving your hair restoration goals of a thicker, natural-looking head of hair has never been easier. To learn more about the different treatment options available to you, please schedule a consultation with one of our doctors today. We look forward to hearing from you.